EghtesadOnline: An Iranian deputy foreign minister says the United States is trying to mislead Tehran into leaving the nuclear deal. 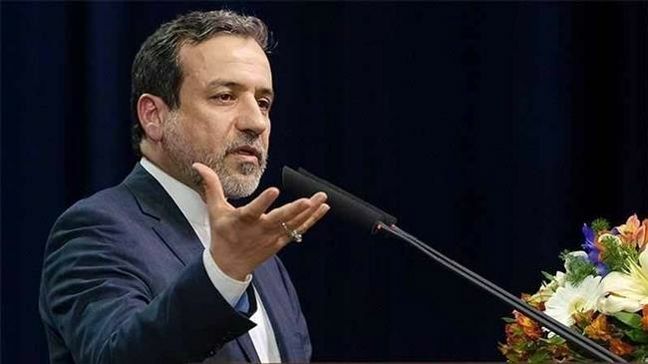 "The US is trying to mislead us out of the JCPOA, but we will not fall into its trap," said Abbas Araqchi during a Wednesday interview with Italian newspaper La Repubblica. On January 12, according to PressTV, US President Donald Trump signed his third sanctions relief for Iran as part of Washington's commitments under the nuclear accord, known as the Joint Comprehensive Plan of Action (JCPOA). The multilateral agreement, also signed by the UK, France, China, Russia and Germany, removes all nuclear-related sanctions against Iran in exchange for certain limitations on its peaceful nuclear program. But the American head of state, who has called the agreement "embarrassing" for Washington, warned EU signatories that he was giving them "a last chance" to join the US in "fixing significant flaws in the deal." Araqchi stressed that if the US scraps the nuclear deal, it will lose the rest of the world's trust. "If the US leaves the deal, nobody will ever be willing to negotiate with it," he added. The deputy foreign minister added that since Iran is fully committed to the deal, other parties must show the same level of commitment. The US president claims that Iran’s development of ballistic missiles for defensive purposes is in breach of a UN Security Council resolution that endorses the JCPOA. Iran, however, has time and again made it clear that its missile capabilities are purely defensive in nature and are not up for negotiation.